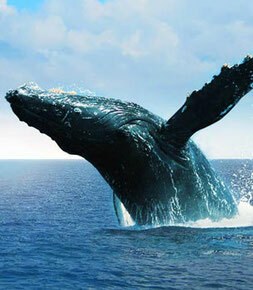 From mid January to the end of March the humpback whales gather in Samana Bay to mate and give birth. The opportunity to see the whales perform their breathtaking maneuvers as the males compete for the females should not be missed. See the whales up-close and visit gorgeous Playa Frontón. Horses are part of everyday life in Las Galeras, and discovering the beauty of our little paradise on horseback is a memorable experience. With a choice of jungle, gorgeous beaches, hills, and plantations, there are treks for everyone, from the beginner to the experienced rider. We work with Rudy's Rancho, where they treat their horses well. 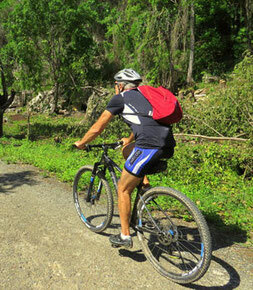 The region around Las Galeras is ideal for mountain biking, with numerous paths and beautiful views, most of which remain unknown to most visitors. The terrain is very versatile, ranging from flat beach roads to rocky and steep mountain paths. We offer several excursions lead by an experienced sportsman. 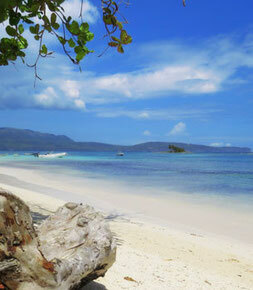 Excursions range from 3 hours at $35 per person to a full-day for $90. Las Galeras and its surroundings are blessed with several incredibly beautiful beaches, with white sand and warm, green-turquoise waters. Unspoiled Playa Rincon, charming La Playita, Playa Colorada, Playa Grande, Playa Madama, Playa Fronton... they're all waiting for you to bathe in crystalline water and soak up the sun while sipping a fresh coconut.